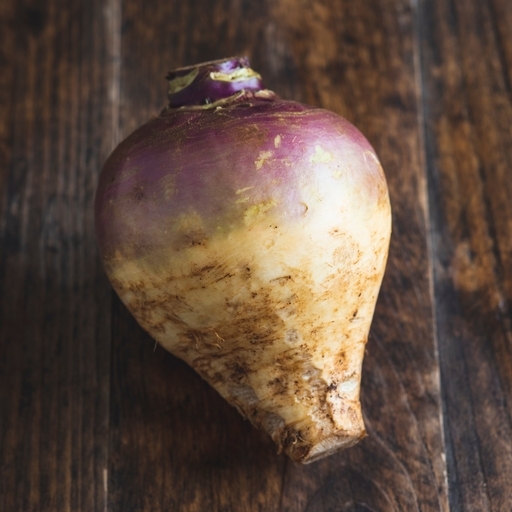 A much-maligned, hearty vegetable that deserves better, organic swede is as cosy and dependable as a woolly jumper on a chilly winter’s evening. Mashed, roasted or boiled in a stew, it’s sure to warm your cockles. Pair its nutty sweetness with salty flavours like bacon, or strong, spicy ones like curry powder, cumin or ginger. Use in soups, stock and hearty beef or ham hock stews. Swede makes a glorious mash combined with carrots or on its own, then lavished with generous amounts of butter and black pepper. For an easy meal on a cold night, roast swede in chunks and serve with bacon and shredded greens. Delivered from our farm, so wash before cooking. Keeps for a month or more in the fridge. Remove tops so they don't draw moisture from the root.